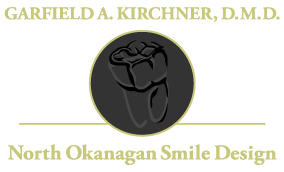 Welcome to North Okanagan Smile Design and the office of Dr. Garfield Kirchner, your family-friendly dental practice in Enderby. After graduating from the University of Saskatchewan in 2001, Dr. Kirchner has owned and operated the clinic since 2005, keeping smiles healthy and bright ever since. We offer our clients complete family dentistry and oral exams for adults, seniors and children. Treatments range from routine procedures such as crowns, fillings, hygiene, bridges and check-ups, to more specialized procedures such as orthodontics, periodontal surgery, oral surgery and dental implants. Don’t suffer pain a moment longer. Dr. Garfield Kirchner offers emergency services for patients who are experiencing dental trauma. Call right away, anytime you need us. For many people, a fear of the dentist can prevent them from getting the regular check-ups they need. Putting off your visit can lead to more advanced and costly oral health problems down the road. One of the first steps to overcoming dental anxiety is finding a dentist who puts you at ease. Dr. Kirchner goes out of his way to make every patient feel comfortable. Call us to book an appointment today. We’d be happy to talk about any concerns you may have.